Ella Jenkins Lending Library – Cool Classics! The children of Cool Classics! 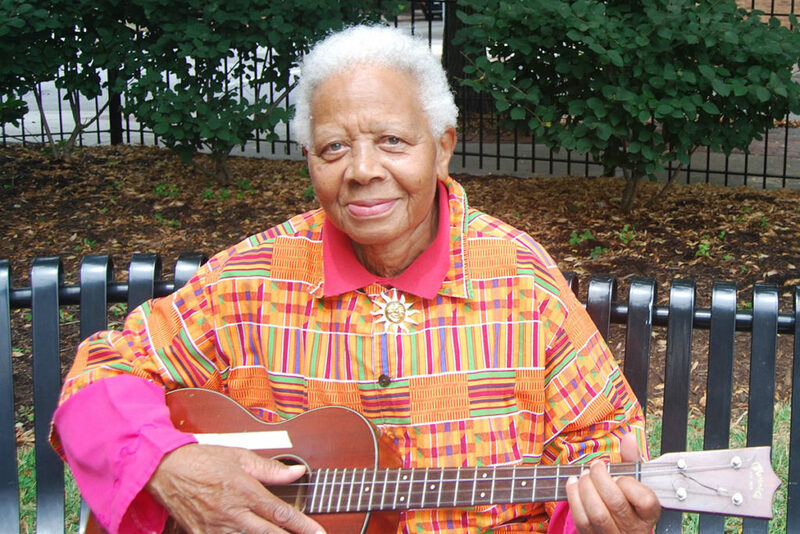 were honored to be able to record with Ella Jenkins, the internationally known children’s singer and musician, in 2009. That CD, Ella Jenkins: A Life of Song, was released in connection with the opening of the Smithsonian National Museum of African American History and is available at bookstores or through Smithsonian Folkways Recordings. In Spring 2011 Ms. Jenkins gave a special concert at Greeley School to thank the children of Cool Classics!, which was part of a profile of her that aired on WGN TV. Ms. Jenkins and the new CD were featured in a Chicago Tribune column, which mentioned Cool Classics! A generous donation from Ms. Jenkins started a Cool Classics! Lending Library, which now has more than 1,600 volumes that participants can check out and read at home. The overwhelming donations of patrons in Borders’ 2010 Spring Book Drive greatly expanded our collection. The library is wildly successful and participating children are reading prodigiously, with great excitement and making recommendations to their friends in Cool Classics!